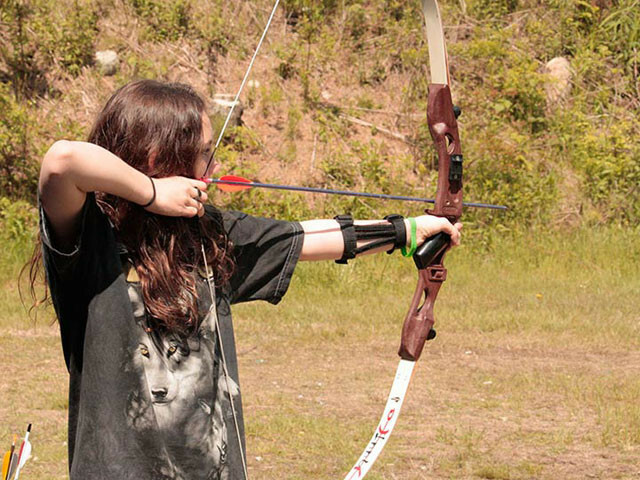 Archery is held at two locations at Cheshire County Shooting Sports Education Foundation our outdoor range is located at 268 Ferry Brook Rd in Sullivan NH, approximately a half mile past the rifle range and on the opposite side of the road. Indoors we host shoots, have open practice, and run a youth program from December to April at the Keene Parks and Recreation Center, 312 Washington Street, Keene, NH. We have two outdoor archery ranges at the club. Thirty McKenzie 3-D targets are put out on our course in early summer on a well-marked trail and the ranges vary from novice to challenging. The 3D trail will take you around the hill above the parking area and wraps back around onto itself back to the parking lot. 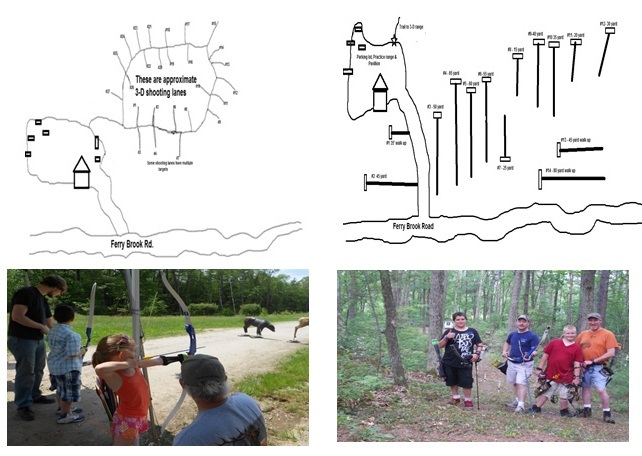 A part of our field archery course is seen as you enter the archery driveway the well-marked trail will take you through the 14 target range and the last target drops you back out on Ferry Brook rd. These well defined trails have marked distances from 20 feet to 80 yards. Below are sketched maps of our two ranges. 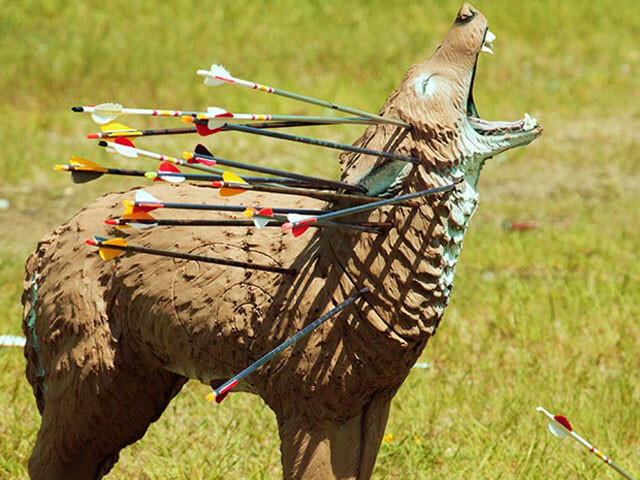 We hold several outdoor competitive field archery shoots each year. We have open practice on Tuesday evenings and all are welcome. Not a member? We allow non-members to shoot the course for $5 anytime we are at the range for a scheduled shoot or practice. Our indoor archery held at the Keene Parks and Recreation Center begins in early December, where we have open practice Sunday afternoons from 12pm to 4pm. The first Tuesday in January our 12 week Keene Parks and Rec youth archery program begins from 6-7pm this is a very popular program and preregistration is required. Immediately following the youth archery program we open up for open practice or league night until 9pm. Our targets are eight feet high and four feet across they are on wheels and are newly built in 2015, allowing archers to place them where they feel comfortable shooting. We host several indoor NH Bowmen sanctioned shoots each season although these are sanctioned shoots all are welcome. Many of the competitors travel to other locations to compete in state and regional events at all levels. To be considered for an award in these events one must only join the National Field Archery Association and state organization. Several certified instructors are able to assist in every level of archery. Whether you are a novice or an experienced archer, whether you hunt or just want to shoot targets the club is nonjudgmental and will help everyone.